Another year, another round of Exploding Deku Nut’s Golden Item awards—the once a year showcase of the best of the best Legend of Zelda fansites. This year’s categories include the most unique site, most stunning site, most aspiring site, most lively forums, and the lifetime achievement award. 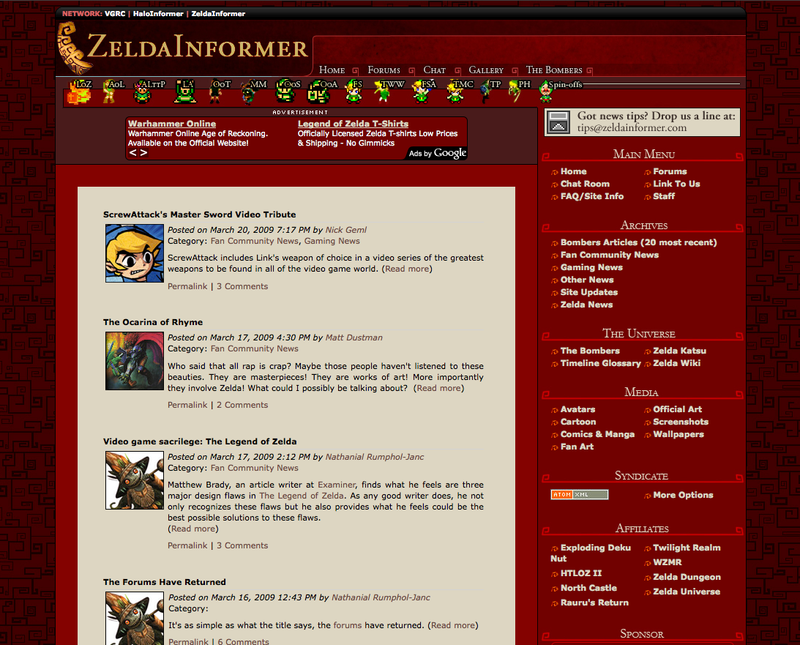 Back in 2008, Zelda Informer, still operating under its delicious red layout, received the Golden Bomb Plant for the most stunning site; we went home empty-handed the following year. Cast your vote(s) here. The voting period ends March 14th, and the winners will be announced the following day.